Two small automakers have engaged in guerilla warfare in the auto industry. Koenigsegg and Rimac both have humble roots and are still tiny compared to larger competitors, yet they’re pushing forward with some amazing innovations. Haven’t heard of either one? Or, have you heard the names but don’t know much about them? Read on to learn what impact these two companies are making and where they might be heading. Way back in 1994 Christian von Koenigsegg pursued his passion to create a premier supercar. Two years later it debuted the CC, impressing professional racers but not catching too much attention outside of the region. Originally the company was based out of Olofstrom, Sweden, but it moved to a farm outside of Angelholm in 1998. That was almost a fateful decision, because in 2003 one of the buildings where the cars were produced caught fire. Much of the company’s work was destroyed, but that didn’t slow it down. The following year it set the Guinness World Record for the most powerful production car, and the next year it set the record for the fastest production car. Another tragedy struck when the Swedish automaker tried to buy failing Saab from GM in 2009, but backed out for several reasons. Some thought the move would tarnish Koenigsegg’s image, but the brand was just getting started. Plenty of innovations have poured out of Koenigsegg’s mad scientist workshop. One of the most notable is the Freevalve engine, the design doesn’t include a single camshaft. Instead, pneumatic actuators that are controlled electronically, plus springs control the opening and closing of each valve independently. That means no fixed rates for valve operation, which opens up all kinds of possibilities. Among the claimed benefits are reduced fuel consumption and emissions, increased power (especially at lower RPMs), and fewer mechanical problems from the simpler design. Koenigsegg doesn’t have a production version of the engine ready yet, so this is all theoretical, for now. Supposedly, the design will boost internal combustion engine efficiency by a whopping 20 percent, and without the production hurdles of electric powertrains. If nothing else, this tech might give the internal combustion engine a longer life. Another great example of innovative tech is how it decided to use Ohlins dampers starting in 2016. The electronically-adjustable dampers can be adjusted remotely by the factory, no matter where the car is. Technicians can also analyze how a vehicle’s suspension performs on a certain track or stretch of road, then reprogram the dampers for improved handling. There’s also the One:1, which is the first production vehicle to boast a 1:1 power-to-weight ratio. The Regera wowed as well when it debuted, since the car had no gearbox. Quite simply, Koenigsegg showed that with some creative thought and solid engineering, just about anything was possible. An even more recently-founded automaker, Mate Rimac started the company named after him in 2009. It was based out of his garage, with only a handful of employees. By 2010 the Rimac Automobili team had created a test mule, lovingly called the e-M3. It was the first electric vehicle to go up against gas-powered cars in official races from the same category and win, proving electrification wasn’t just useful for oil conservation. 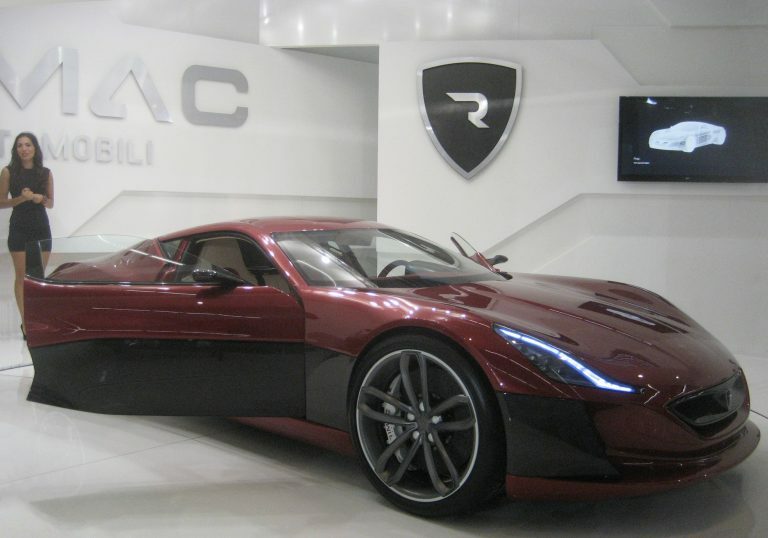 Then, in 2011 the Rimac Concept_One was revealed at the Frankfurt Motor Show. It turned some heads inside the industry, but your average person on the street knew nothing about the Croatian brand. While Rimac has built a solid reputation through excellent work, one fateful event really brought it into the limelight. Amazon series The Grand Tour did a segment on the Concept_One, compared to the Acura NSX and Lamborghini Aventador S. Keep in mind, the Rimac supercar produces 1,224 horsepower and 1,180 lb.-ft. of torque, making it anything but a pushover. To help balance that out, a motor and dual-clutch gearbox at each wheel works with a torque-vectoring system. Despite these designs, host Richard Hammond lost control of the car after finishing a run on a mountainous course in Switzerland, ending in a fiery wreck that was splashed all over the news. Before long, everyone knew about the Croatian electric supercar brand. Hammond survived, only bolstering the company’s reputation. The company’s engineering team quickly built a reputation for being quick and efficient. Unlike other automakers, Rimac has taken an open approach, creating components for Aston Martin, Renault, Jaguar, Koenigsegg, and many other companies. It has been mass-producing everything from batteries to electric motors, flexing its muscles, pumping up its bank account, and growing its influence. Rimac has caught more than just the attention of Porsche. The German automaker in June announced it purchased ten percent of the Croatian company’s shares. This move has been made to hopefully allow the two automakers to pool resources and know-how, forging ahead on electrification technologies. The lesson here is that while barriers to entry for the auto industry are incredibly steep, it’s possible for small upstarts to run disruption. Here are two automakers from unlikely places doing just that, in their own unique ways. Considering their growing influence, don’t be surprised if the future of the automobile is heavily influenced by these two, among other new players. Discuss innovations made by both Koenigsegg and Rimac, as well as other Automotive Industry Trends, in our new GrabCAD Groups forum.